The navigational device came from the wreckage of a ship in the Portuguese armada that had been part of explorer Vasco da Gama’s second voyage to India from 1502 to 1503. 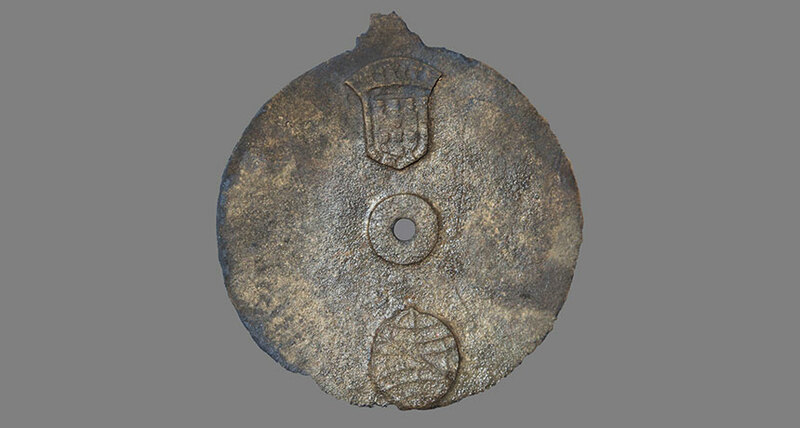 Historical decorations on the artifact led the researchers to suggest that the disk was used as early as 1496. A bit wider than a dollar bill, the astrolabe contains carvings of Portugal’s royal coat of arms and a depiction of a ringed Earth that was associated with a Portuguese king who ruled from late 1495 to 1521. Laser imaging of the disk revealed 18 scale marks separated at 5-degree intervals. The device, used to take altitudes at sea, could have measured from 0 degrees — when the sun is at the horizon — to 90 degrees — when the sun is directly overhead, the team reports in a study published online March 16 in the International Journal of Nautical Archaeology. Only one other solid disk, mariner’s astrolabe has been found, and its authenticity and age are uncertain, say oceanographer David Mearns and colleagues. Mearns directs Blue Water Recoveries in Midhurst, England, a company that locates and studies shipwrecks. Of 104 artifacts known to have been used as mariner’s astrolabes, the new find is not only the oldest, but also the only one decorated with a national symbol, the researchers say. By the early 1500s, most navigators had adopted more precise, open-wheeled astrolabes.